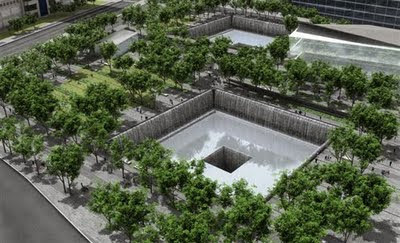 Stella Arnaldo's Blogspot: Where were you on 9/11? I WAS, not surprisingly, burning the midnight oil at the office (I was still working as associate editor at Manila Standard then), and advancing some of my pages for the next issue. As I was busy editing news pieces, the young proofreaders and layout artists who were glued to CNN, suddenly shouted, "Ma'am! Me plane na nag-crash sa Twin Towers!" 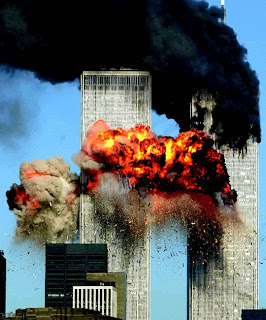 I hurriedly arose from my seat and went over to the TV and saw the smoke billowing from one of the towers. Immediately I thought, and said aloud, "Terrorist yan." Even before I had the chance to text/call my editor in chief Jullie Yap Daza about what had just happened, the second plane crashed into the other tower. It was like watching a movie, and for some reason, today, it has become a slow-motion visual in my mind's eye. It was totally unbelievable, and yet I saw it happening right before my eyes. It chilled me. And of course, it confirmed my initial belief that this was the work of terrorists. I finally went home to my flat very late in the evening, switched on the aircon and TV, and after a quick bath and change into my night clothes, settled into my bed. I kept switching channels between CNN and the BBC trying to find out more of what had just happened, and more importantly, who did it and why. I just kept absorbing all the reports and images being broadcast. I said a silent prayer for all the lives that had been lost, for sure there were many, because it was a work day, and it was morning in New York. I don't know what time I finally slept, but I knew I still had the TV on, and when I woke up, the same images of the towers w/ the billowing smoke, w/c then finally came crashing down were still looping, then the other crashes at the Pentagon and Pennsylvania, but with a different news presenter this time. He/she - I don't remember anymore who was annotating the broadcast – was repeating the same reports and information we had already by then published in our paper that morning. It would be a very weird week, and a few months. People just couldn't stop talking about it. We may not have been there in NY (or in Washington DC) where the unfortunate attacks happened, but the images remained vivid in our heads. Somehow, I too felt a sense of loss and was very disturbed about what happened. We were entering a strange phase in our lives as global citizens. 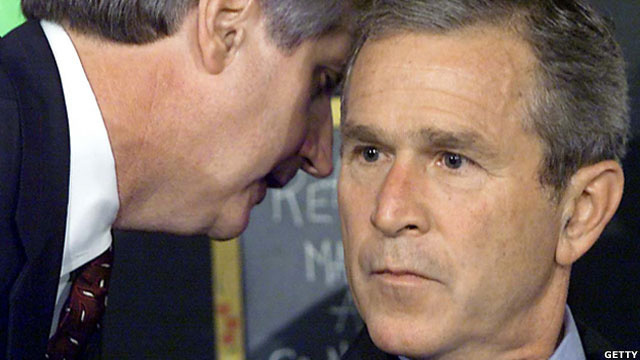 I later learned that a media colleague was still waiting word about her sister who was working at the Twin Towers at that time the planes crashed into them. I wrote in my column that I hoped that she would only receive good news about her sister. But in my mind I thought, I wished her and her family the courage to accept whatever result from their search may turn up. A few months after, I was reading that security measures at the US airports were beefed up, w/ racial profiling at its extreme. Anyone who looked Middle Eastern was being asked to step to one side for further checking. Even some Filipinos had experienced some dustups w/ the US Immigration upon arriving at US airports as well. After the attacks in the US, our malls and hotels went into hyperdrive - employing their own brand of security measures (the magic patpat for the malls, the bomb-sniffing K9 for the hotels). To this day, the practice continues and it's already automatic for us to just open our handbags, whenever we enter a department store and we pass through the establishment's security check. 10 years after, we have X-ray machines deployed in major airport terminals in our country. Whenever we take trips, we have to be at the airport at least 3 hrs before departure - for international flights - and two hours for domestic flights. Airline insurance surcharges have risen...but yes, we still keep flying. We are more aware of our surroundings, eyeing bags or containers left to a side with suspicion, we constantly look at the people around us (of course, this is also to protect us from pickpockets), and treat security guards w/ more respect. The 9/11 terrorist attacks may have changed all of us, making us take more precautions wherever we go, but we keep going. We have resumed our lives and our usual activities, but we still manage to enjoy ourselves and what the world has to offer us. And because of that, I know these evil terrorists have lost. We have suffered, but we keep moving forward. Thank you Lord, for giving us the grace and courage to keep on living. 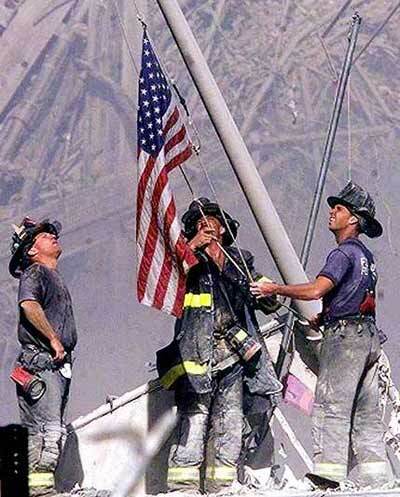 (NY firefighters raise the American flag at Ground Zero. Photo from the Cleveland Seniors. According to TV5's news web site, Filipinos are among the least trusted nationalities since the US govt beefed up security policies after 9/11, often experiencing ethnic profiling. Read Interaksyon's special report "10 years after 9/11" here. ABS-CBN News also has its own reports on the 9/11 anniversary on its website. Read here how they are commemmorating the event. Here is also an interesting story from the New York Times, on Muslims coming of age in the decade after 9/11 : The 9/11 Decade. As we all know, the situation in the Middle East has dramatically changed since 9/11 - I don't know if it is for the better. Former strongman Saddam Hussein of Iraq was captured and executed, Iran has become a rising power in the region, and just recently, Osama bin Laden, mastermind of the 9/11 and other global terrorist attacks has been captured and killed as well, thanks to the leadership of US President Barack Obama. We all hope that the latter would've weakened the Al Qaeda and its affiliates - but even today, New Yorkers have been alerted to a possible attack. Here in the Philippines, the authorities too are on heightened alert. Pls. pray that tomorrow's 10th anniversary rites for 9/11 will be quiet and peaceful, and for the eternal repose of the souls of those who had perished.